In an ongoing series for Writer’s Residence, editors talk to us about what they look for in pitches and queries. Claire Jones, Editor of the popular women’s history magazine, HerStoria, spent several years as a freelance writer and edited an academic magazine prior to launching HerStoria. She has written widely on women’s history and her book, Femininity, Mathematics and Science, 1880-1914, has just been published by Palgrave Macmillan. Claire has a PhD in women’s history and is an associate lecturer at the University of Liverpool. She is currently working on a biography of the nineteenth-century scientist and suffragette Hertha Ayrton. Claire took some time from her busy schedule to speak to us about what she looks for in pitches to HerStoria magazine. What process do you follow between receiving a pitch and commissioning (or not commissioning) an article? I consider if the article will fit in with the profile of HerStoria Magazine, which is women’s history. After that, the key thing is the writer’s qualifications for a commission. Our articles have to be authoritative from an academic/research point of view so I look especially at the CV. Most of our contributors are university historians/researchers, or published history authors. I have sometimes commissioned freelancers who have an interest and higher degree in a history-related subject and a good research track record. Thirdly, of course, writers have to have an engaging, accessible style, so I look closely at any examples of their work. What makes a pitch easy to deal with? It is much easier (and more likely to be commissioned) if writers have read HerStoria and have a clear idea of the type of articles we feature. I find many writers don’t tailor their pitch to the publication they are approaching – I get a lot of ‘family history’ pieces and that is not what HerStoria is about at all. How do you like to receive writing samples and how should they be displayed – as an attachment, text in the email, a link to their website, a jpeg scan of a clipping, something else? Attachment, link to website or jpeg are all fine. If a writer sends you a link to their website with their pitch, do you visit it? How much does this weigh on your decision to commission them for an article? Yes, I always visit as this allows me to get a better feel for the writer’s style, and to see if they he or she has covered historical subjects before. What qualities do the best pitches share? What about the worst pitches? The best pitches are direct and to the point, they tell me straight away why the pitcher is qualified to write for HerStoria, they contain a small abstract (no more than 200 words) of the proposed article, including the historical sources used, and they include a sample of the writer’s work. Many thanks to Claire Jones for her wonderful interview. 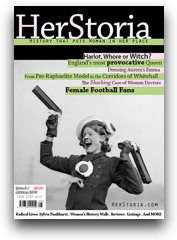 Don’t forget to visit her magazine, HerStoria, which has just released its Spring edition. 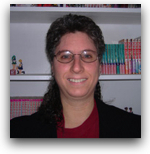 Nancy Dunham is a former health care magazine editor who is currently a freelance writer in Alexandria, Virginia. Her clients include The Washington Post, Relix magazine, and Automobile. As a writer and editor, Nancy has experienced the pitching process from both sides of the table. Last week, Nancy graciously gave me a little more than 5 minutes to discuss pitching from her point of view. She gave some great advice on what editors look for, along with some useful lessons she’s learned as a freelance writer pitching her own stories. How do you decide whether a pitch is worth pursuing? The thing I look for more than anything else is that the pitch fits the mission of my magazine. It sounds trite but it’s true: if I get a general pitch, it shows that the writer hasn’t paid any attention to the specific niche of the publication. That’s a real turn-off. Staff writers are lucky because they have a lot more latitude. They’ll known an editor who can help them mold pitches and discuss where stories might hit or miss the mark. Freelancers don’t usually have that luxury. Once you’ve developed a relationship with an editor and they get to know your work, you might have more freedom to develop the story with the editor. Some writers make too much of pitches. They try to fit everything about the story, their subject and their history into the pitch. But in most cases, pitches shouldn’t be more than a paragraph or two. When I first started freelance writing, I used to write much longer pitches until someone convinced me that a shorter pitch was the way to go. Since then, I’ve found more success this way. I now write short and targeted pitches without getting too involved in a lot of background information about myself or the people I want to cover. It’s important to cover the basics, but all you need is a line or two. As an editor, if I’m interested in your pitch, I’ll follow up with you. But if the pitch goes on and on, well, I won’t have time to distill it. Tell me what’s important to me now. Is there anything writers can do after they’ve pitched an idea to get the editor’s attention? Follow up. So many people don’t do this. But I’ve probably increased the number of pitches I’ve had accepted by 50% just by sending a follow-up e-mail. Tell me more – what goes into a follow-up email? It’s as simple as that. You don’t need to re-pitch the idea. I send two follow ups – one after the first week that I’ve pitched, and one after the second week. Then I stop. This can can be frustrating. If you don’t get a response, you might think “maybe they didn’t get it” or “maybe they didn’t understand my idea” or “maybe I should resend it.” As a writer, this is a bitter pill to swallow. But believe me – they’re getting your messages. As an editor, if I wanted it, I’d let you know. What about following up by phone? Some of this comes down to personality. If you’re really fumbly and uncomfortable on the phone, you’re going to make them uncomfortable. What else should I send in my pitch? If you have credentials, put them in there. It doesn’t have to be our whole resume, just a list of some publications you’ve written for. Keep it to a line or two, just to tell them who you are. Also, clips – take a lot of care in picking out your writing clips. Some people send clips with big typos and so forth. It’s frustrating if you’ve had something published with an error in it. You can always send the original story and simply say where it was published. Do you prefer getting writing clips as a link or an attachment? I used to prefer attachments, but now so many email systems put them in spam. As cumbersome as it is, I cut and paste my clips in the bottom of an email. This way, I’m certain my clips get through. I’ve sent links before, only to have editors say they won’t open. So even if I include a link, I still paste the writing sample below. What about websites? Should writers have them and include them in their pitches? I have three websites: one is a general website, another is a music website, and another is a travel website. I have the specific ones because, if someone wants me as a travel writer, they won’t necessarily want to look at my interview with Beck. It could be a turn-off. Some people say you don’t have to be that specific, but I think it helps to be able to say “I’m an expert in what you need.” There’s a billion generalists out there. But not everyone is an expert. As an editor, would you look at a writer’s website if they sent a link to it with their pitch? I’ve done this before. It’s not a make or break thing, but it is another tool. I find websites more useful when I’m hiring a staff writer than a freelance writer. Generally, if you’re hiring a freelancer, you’re just trying them out. The work is going to tell you if they’re good or not. But a staff writer is more permanent. Still, a website can be very helpful for freelancers. If I’m editing an auto magazine and I can see that you’ve interviewed people from Ford and Toyota, I might be more interested. So is there a key to writing the ultimate pitch? It’s really pretty simple: keep it short, keep it targeted and keep it timely. Many thanks to Nancy for taking the time to talk to with us. This interview was hugely informative! Nancy recommends Freelance Writing Gigs for freelancers. You can get in touch with Nancy by email at NancyDunham@gmail.com or on the web at nancydunham.com. This week we talk to editor and publisher Erica Friedman. In addition to publishing, Erica is also an expert in online marketing. She took some time out of her busy schedule to chat with us about query letters, the importance of reading writer’s guidelines and getting started with social media marketing. You can read more of Erica’s work at SocialOptimized and Okazu. Let’s start with the basics. What makes a query letter easy to deal with? When a person has read and understood the guidelines, isn’t trying to be clever and has done two minutes of homework, so they know what I’m looking – and not looking – for. For instance – I always ask for a 3-4 line synopsis of a story. I give an example. Instead of following my example, people send in incomplete marketing-copy that gives the setup, but not the meat of the story or the conclusion. I don’t want to read “wackiness occurs.” I want to know what wackiness occurs and how it ends up. Do you want to see writing samples with the query? I don’t want to see writing samples. I want that short synopsis and, if I like the idea, I’ll get back to you for the story. I already have a writing sample – your query letter. If that is unfocused, rambling, over clever or unnecessarily convoluted, I have all the information I need to say no. If it’s clear, concise, pleasant and writer seems like they’ve got a good idea, I’ll go ahead and ask for more. *I* hate attachments. That will not be true for all, or even some, other editors. This is why I say that following the guidelines is critical. I hate to waste time – mine or yours. If a writer includes a link to their website with their query, do you visit it? I don’t visit links to sites. I’d bet that few people do. We don’t have time. Put your link in your sig and leave it there. If I have a second and want to visit, then I can. Don’t point me to it. The best pitches are confident, short and business-like. They contain previous relevant experience, and a grasp of what I’m looking for, as well as that elusive short synopsis. The worst are very long, filled with irrelevant material, and the scent of no real experience or professionalism. Is there such a thing as the perfect query letter? There is no golden ticket to getting your work read. Follow the rules the agent/editor/publisher/site has and don’t assume they don’t apply to you. Write concisely, professionally and do not waste time with rambling letters. Luck and skill play equal parts in being read. It’s really just that simple. Is there anything else to getting published besides writing a great query letter? I’ve seen what torture authors put themselves through, trying to find one person who gets their genius, but it’s not like that, usually. Usually, writers and artists simply think they are better than they are at their craft. And the reality, despite everything all the magazines say is that, who you know trumps what you know or do. One of your specialties is social media and online marketing. What is the first simple step you’d recommend writers take to use social media to market their work? The first step is to look for groups/forums/lists, etc of people who might be interested in your work and then talk to them. Not at them. Don’t jump into a discussion with a sales pitch. Get to know your group, use your sig for links and become a highly regarded member of that community. *Then* you can mention your work from time to time and you’ll see results. Build your audience – then market to them, not the other way around. Thanks again to Erica Friedman for the great interview. Don’t forget to visit her on the web at SocialOptimized and Okazu, the blog for Yuricon & ALC Publishing. This week, we talk to David Freedman, a magazine and newsletter editor with over 31 years experience in the editing trade. Focussed on law, finance and technology, David has served on the editorial staffs of numerous consumer, business, professional and trade periodicals. Since 1999, David has worked as a freelance journalist and has authored feature articles for dozens of national and local magazines, newsletters, newspapers, and online media. You can read more about him and his work at freedman-chicago.com. What do you want from a query to make it quick and easy for you to deal with? I want a clear statement of the story’s premise, and why it benefits my readers. Why should my readers care, and how will it help them? Is this premise new, creative, or insightful? Too many query letters treat the premise superficially. How do you like to receive writing samples? I will accept writing samples any way I can get them. The important thing is the quality and relevance of the samples, not how they are conveyed to me. I’m happy to go out of my way to see outstanding samples. If a writer sends you a link to their website with their query, do you visit it? How much does this weigh on your decision to commission them for an article? I’ll visit the writer’s website. I want to know all I can about the writer’s communication skills. Websites are publications. What qualities do the best query letters share? What about the worst query letters? I can usually tell if the query writer has read my publication. If so, I will treat the writer with courtesy, and make constructive suggestions, even if I reject the proposal; I might suggest another topic that the writer is qualified to write about. If the writer hasn’t read my publication, I am not inclined to be as courteous. This week, we talk to Owen Linderholm of Press For Change. Owen started as a journalist 25 years ago and has since been an editor, editorial director, web content strategist, and publisher, primarily focused on technology. Owen now runs Press for Change, a small independent publishing company focused on food writing, cookbooks, various technical non-fiction titles and some Young Adult Fiction. That’s a two parter. First, I don’t actually want you to make it quick and easy for me to deal with. What do I mean by that? Well, I mean that there is only one quick and easy way to deal with a query – and that is not going to involve what you had hoped for with your query. Instead you have to make it quick and easy for me to be really interested. So – be on topic, be clear, get to the point. Let me see enough of your writing that I can relax about it. Prove that you know the topic. (My pet peeve is writers who say they know the topic but clearly don’t). Funnily enough I don’t care about your past writing (except to show you know the topic) all that much. Links – and links only – it is all online now. That’s for past samples. But your letter better let your writing show – or I won’t have gone as far as the samples. Yes – plus I like variety. You have to know enough to write about what you are pitching, but I like to see that you can write about other things too. Plus if you know online and organization and SEO and social media then all of that will be easier when the time comes. The best letters show that they took some time, that they know who I am and what I want and that they know what they are proposing. Frankly even if I don’t like the specific pitch I might like you enough to suggest something else. The worst letters are always the completely misguided ones. The ones where it was a waste of time opening the email (yes – it had all better be email…). If you have a book idea that you think is suitable for Press for Change, send your pitch to info@pressforchange.com.